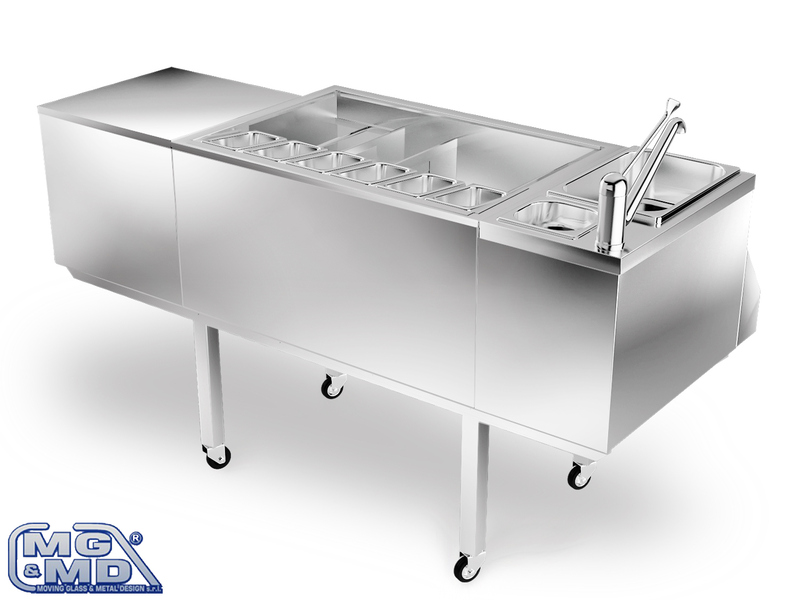 MG&MD Cocktail Modules are suitable for the insertion on bar counters or used as mobile work stations on wheels. 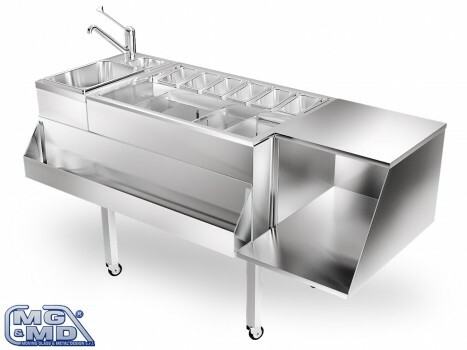 They consist of a tank in aisi 304 stainless steel, inside and outside, insulated with low-density ecological polyurethane with water discharge in the middle, with stainless steel containers and various accessories. The possibility to realize the upper stainless steel frame which protrudes all around the perimeter (to be recessed).